Good encounters, whether complex or simple, are the cornerstone of almost every adventure. They offer the fun and excitement all gamers crave, but more, they open doors to avenues perhaps untrod, bringing a plethora of opportunities for the enterprising player to seize and the Castle Keeper to unveil ever greater landscapes. 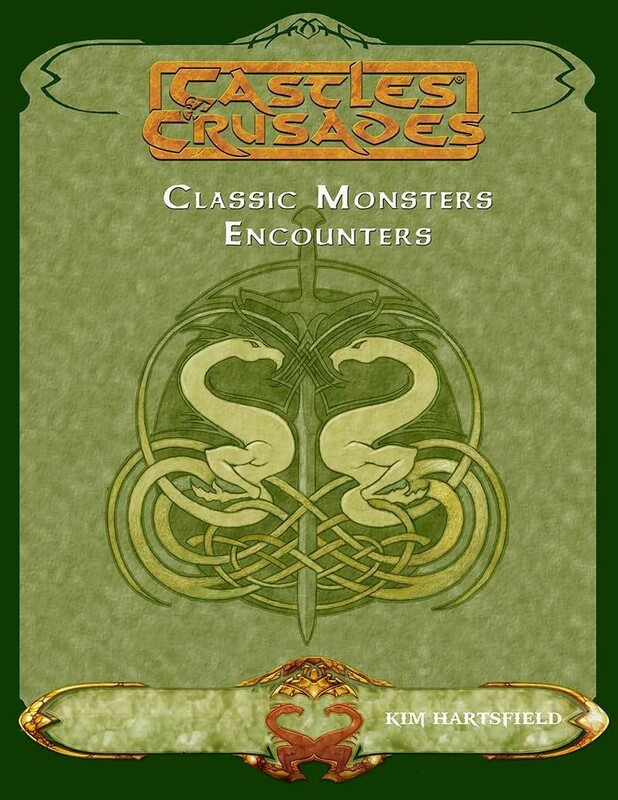 Classic Monsters Encounters provides the CK with fast paced, easy to use adventures. These short one-shots are easy to manage, whether on their own, or inserted into a wider campaign. Playable in one night, they are easy to scale for higher lever encounters and easier to run. Eight short adventures lie within. It is your game! Seize it!